Learn more about the Philadelphia-Denver matchup set to take place on Sunday. The Philadelphia Eagles are 7-1 through the first half of the 2017 NFL season. I’d say that’s pretty good. But there’s still a lot of work to be done. The second half of the Eagles’ schedule features some tough games on it. Sunday’s matchup against the Denver Broncos is no exception. It’s true the Broncos’ offense isn’t very good. Denver has only managed to score an average of 9.7 points per game in their last three contests. They’ve also turned the ball over 17 times, which ranks second most in the NFL. The Broncos’ offensive struggles have prompted the team to bench Trevor Siemian. It’ll be Brock Osweiler getting the start against a Philadelphia defense that absolutely beat rookie quarterback C.J. Beathard to a pulp in Week 8. Osweiler faces a tough task on the road. He’s not the only quarterback who will be challenged in this game. Denver’s defense might not be as good as it was during their Super Bowl run, but they still have a lot of the same players. It’s a very talented unit. Von Miller is obviously the key name to watch since he’s capable of regularly creating havoc. Carson Wentz has his work cut out for him in this game. The second-year quarterback arguably hard his worst showing of the year against the 49ers last Sunday. He’ll aim to be better this weekend, but it won’t be easy. 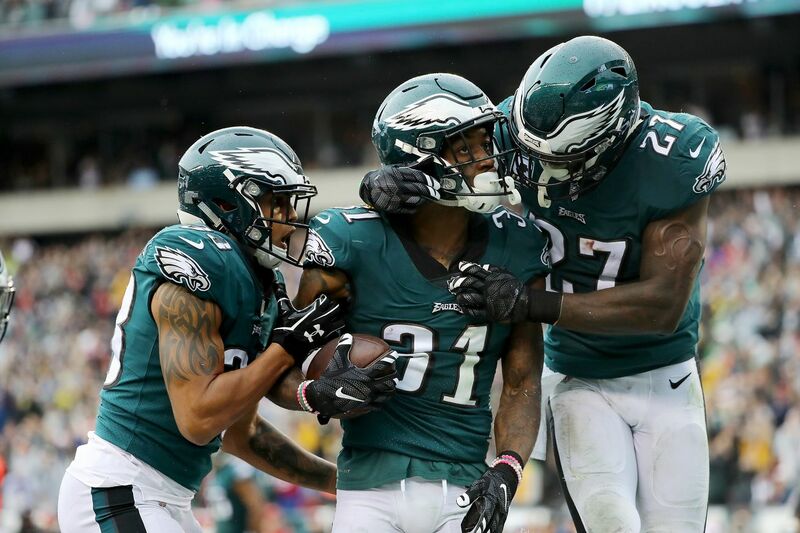 A win over the Broncos means the Eagles would be 8-1 going into their Week 10 bye. The Birds needs to take care of business at home and prove they can beat a tough defense. Here's everything you need to know about how to watch the game. Per Bovada, the Eagles are heavy favorites to win. The Eagles are 7-5 in 12 all-time regular season appearances against the Broncos. The Eagles are 5-1 against the Broncos in Philly. Denver’s only road win over the Eagles came back in 1986. These two teams last played in 2013, when Philadelphia got blown out by Peyton Manning and company: 52-20. BGN Radio Patreon: Support the show!